Light on Yoga by B.K.S. Iyengar should have a permanent place on every yogi’s bookshelf. The book is often considered the bible of yoga, as it dives deeply into yoga as a complete spiritual practice, covering everything from asanas to pranayama to yogic lifestyle guidelines. If you are looking to expand your practice and explore the many facets of yoga, Light on Yoga is a great option to guide you in the next step in your yogic journey. B.K.S. Iyengar (1918-2014) is the founder of Iyengar Yoga, a style which emphasizes the use of props to assist in opening up the body and bringing awareness to its capabilities. He is also credited for bringing the practice of yoga to the West. He was introduced to yoga at the age of 16 by his brother-in-law, Sri Tirumalai Krishnamacharya. 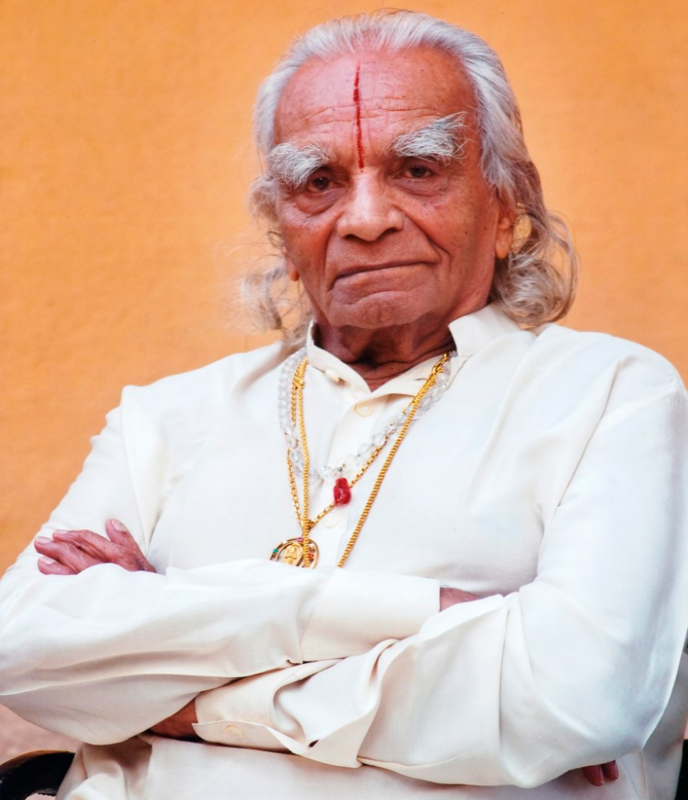 He predicted that a yoga practice could help Iyengar overcome a variety of ailments he experienced in his youth. At the age of 18, as he was strengthening both his physical body and his yoga practice under the tutelage of his brother-in-law, he began to teach yoga in Pune, India, where he eventually founded the Iyengar Institute. His break into the West came in 1952, when he met with American violinist Yehudi Menuhin. The musician was having difficulties with fatigue and stage fright, and Indian Prime Minister Pandit Jawaharlal Nehru introduced him to Iyengar so that he could attempt to manage his issues with yoga. This meeting not only prompted Menuhin to become a dedicated yoga student, but started a lifelong friendship. Menuhin introduced Iyengar to musicians in his circle, and one of those connections led him to publisher Gerald Yorke, who published Light on Yoga in 1966 (which includes a forward by Menuhin). It has since been translated into over 22 languages, making it available for yogis in nearly every country. B.K.S. Iyengar’s legacy lives on in Light of Yoga, which thankfully is still regularly published and accessible for yogis around the world. Whether your practice spans years or you are just starting to explore yoga, Light on Yoga will help you expand your views as a practitioner of yoga while helping you enhance your practice. The following explanations delve into the many reasons you should pick up the book today. When most people think of yoga, they think of the physical asana practice—images of people flowing through a vinyasa or sitting on their mat in meditation come to mind. Even many people who consider themselves yogis are limited in their knowledge of what yoga means off the mat. If you want yoga to be a lifestyle choice, rather than solely a physical practice, it’s important to understand the philosophy behind it. In the first section of the book—before getting into the asanas—Iyengar covers the philosophy, history, and meaning of yoga. He goes into detail on the eight limbs of yoga as outlined by Patanjali in the Yoga Sutras (including the first two limbs, yama and niyama), the three qualities of gunas, the meaning behind certain Sanskrit words, and so much more. While this may seem overwhelming, Iyengar breaks these concepts down in an easy to read manner, making process less intimidating. By understanding yoga philosophy and the concept as a whole, you’ll be able to get a wider picture of what yoga truly stands for. Without firm foundations a house cannot stand. Without the practice of the principles of yama and niyama, which lay down firm foundations for building character, there cannot be an integrated personality. Practice of asanas without the backing of yama and niyama is mere acrobatics. While the physical practice is a key component, there is so much more to yoga than just what happens in a class. There are a wealth of teachings and historical lessons that can be applied and practiced not only during an asana practice, but as you go about your day as well. After covering the philosophy of yoga in the first section of the book, Iyengar delves into the asanas. He dedicates almost 400 pages of the book to detailing poses, and includes pictures to help the reader fully comprehend each pose. In Iyengar Yoga, alignment is central to the practice, hence the use of props to allow the body to fully experience each pose. In the physical practice of yoga, the alignment of each pose is incredibly important in order to stay safe and fully benefit from the posture. The book outlines each pose with step by step instructions, and gives specific tips for each pose in order to ensure you are properly aligned. It is just as important to know the purpose of a pose as it is to know the proper alignment. Along with each pose description, Iyengar goes into detail about why we practice each posture, and what they do for both our physical body and mental well-being. By joining both alignment and benefits, Iyengar paints a full picture of each pose, allowing the reader to develop a complete understanding of their physical practice. Iyengar takes safety seriously in his yoga practice. Beyond giving the reader proper alignment cues to ensure they are safe when practicing the poses, throughout the book he gives precautions related to both the asana and the pranayama practices, so that the practitioner is doing what is best for their body and mental state at that moment. He even gives the reader 47 “hints and cautions” to read through before delving into the pranayama practice, ensuring they are fully aware of the safety steps they need to take before taking on the practice. Iyengar notes physical components the practitioners should be aware of, as well as practical advice, such as how much time there should be between eating and an asana or pranayama practice, the best hours to practice yoga, and tips for women who are pregnant. He also notes the difficulty of each pose on a scale of one to sixty, so the reader can get an idea of whether the pose is suitable for their level or not. Many yogis only have familiarity with pranayama on a surface level. You’ve likely heard it mentioned in yoga classes, but may not know much about it beyond what your teacher instructs. Pranayama is the fourth limb of the eight limbs of yoga. The breathing exercises allow you to increase your energy, enhance mental focus, and improve physical well-being. In a similar fashion to the way he describes the asanas, Iyengar covers multiple pranayama exercises. He discusses how they should be performed, the purpose of performing them, as well as when certain ones should be avoided. By reading Iyengar’s teachings on pranayama, you’ll be able to deepen your understanding of the breathing techniques, and develop your own practice beyond the yoga studio. If you frequently take yoga classes, you likely have collected a bit of Sanskrit vocabulary in your word bank. However, by reading Light on Yoga, you’ll be able to get a far more comprehensive lesson in Sanskrit. Iyengar uses the traditional Sanskrit words for poses, philosophy, and concepts. When first introducing a Sanskrit word, he provides the English translation, and breaks down any compound Sanskrit words so that you fully understand them. However, he continues with the Sanskrit version of the word as he discusses the topic, so you’ll quickly expand your Sanskrit knowledge. You’ll start to recognize not only poses when in the yoga studio, but also traditional concepts and philosophy as you continue on in your yogic journey. There is also an extensive glossary at the end of the book if you need a quick refresher on certain words. Most people start their yoga practice on the mat, with the guidance of a teacher in a studio. 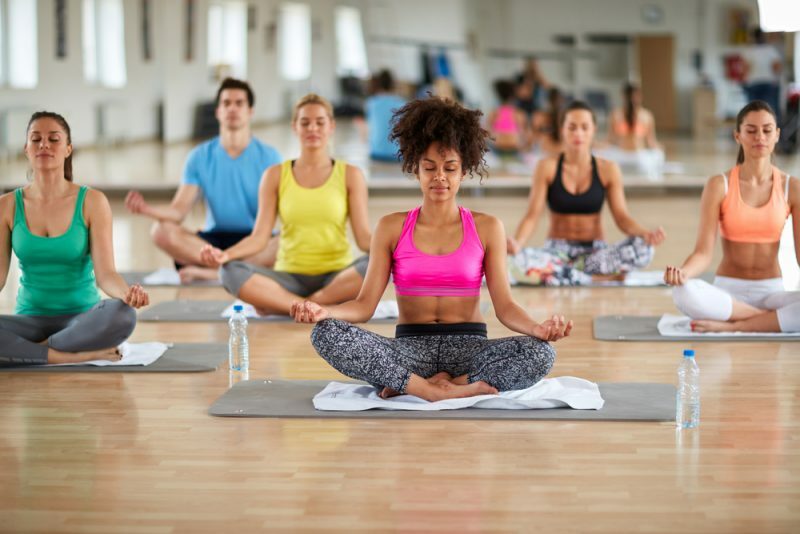 While yoga encompasses so much more than the asana practice, people often contain their yoga practice within the confines of a studio space, choosing not to explore the many other facets of yoga off their mat. While an asana practice is a great place to start, Iyengar allows you to explore the other areas of yoga in an easy and accessible way—all while still covering the physical practice. By reading Light on Yoga, you can develop a well-rounded practice that encompasses the physical, philosophical, traditional, and spiritual aspects of yoga. By writing Light on Yoga, B.K.S. Iyengar was able to make the practice of yoga accessible for the masses. Yoga can be confusing—there are a variety of facets to yoga that can be overwhelming, and many yogis choose to stick with the comfort of their physical practice. Thankfully, Iyengar has demystified the practice of yoga, and through his book has presented this information in an easy to digest fashion. If you truly want to deepen your practice and explore the true meaning of yoga, start with Light on Yoga to expand your horizons.